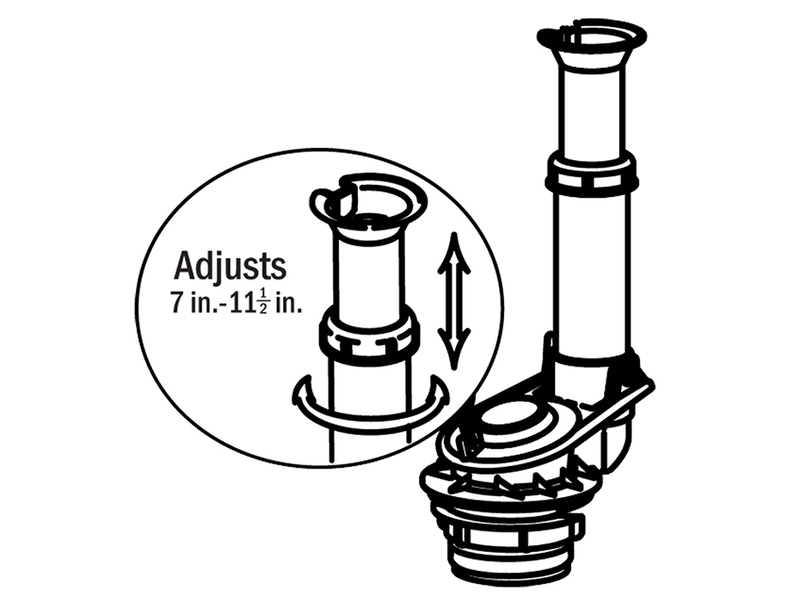 Flush valve adjusts from 7" to 11-1/2"
The Adjustable 2 inch Flush Valve and Tank to Bowl Gasket Kit is universal to fit all 2-piece toilet tank brands. 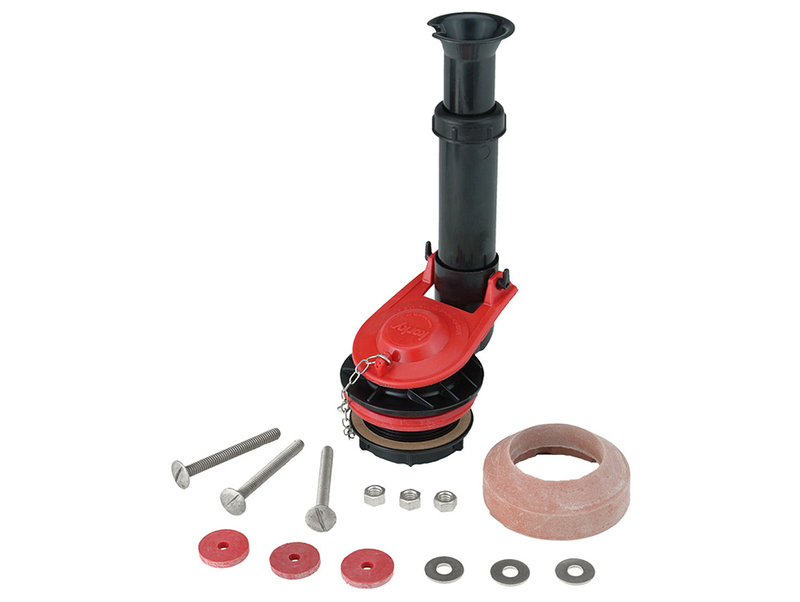 Quick and easy to install, the flush valve height easily adjusts from 7 inch to 11-1/2 inch, with no tools or hack sawing required. 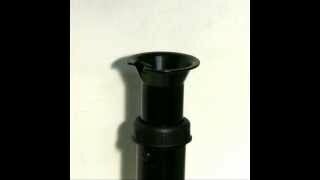 The oversized tube and funnel reduce flood risk while the included premium flapper ensures a tight, leak-proof seal. 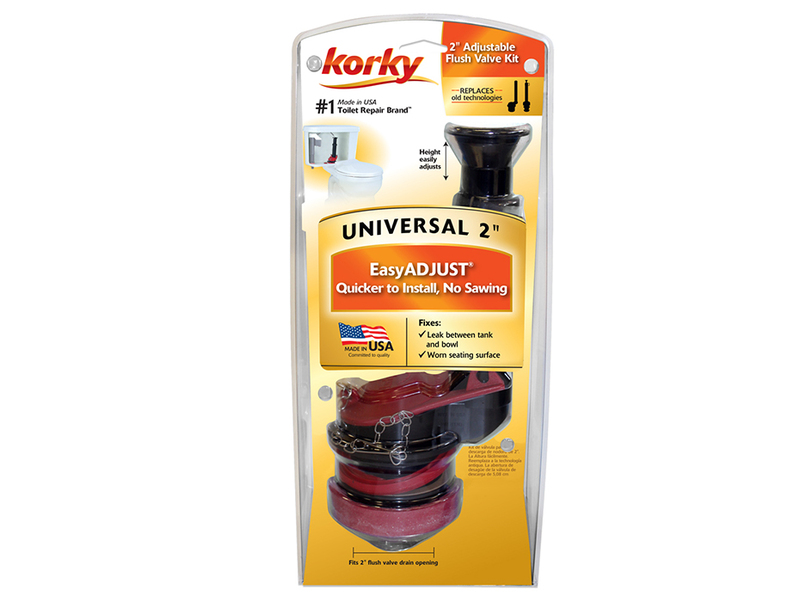 The included Korky Ultra High Performance Flapper is the most universal 2 inch toilet flapper available. 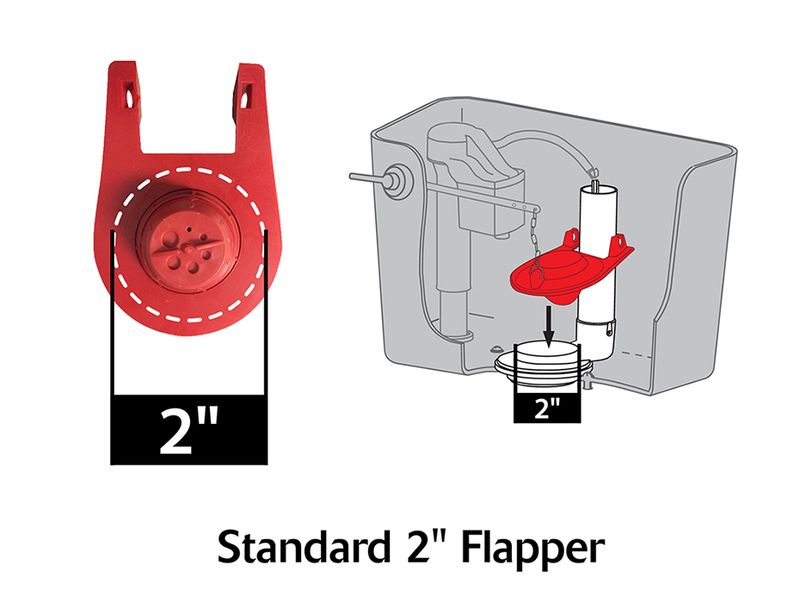 The flapper adjusts to match original toilet settings and eliminates water waste by decreasing the amount of water flushed. 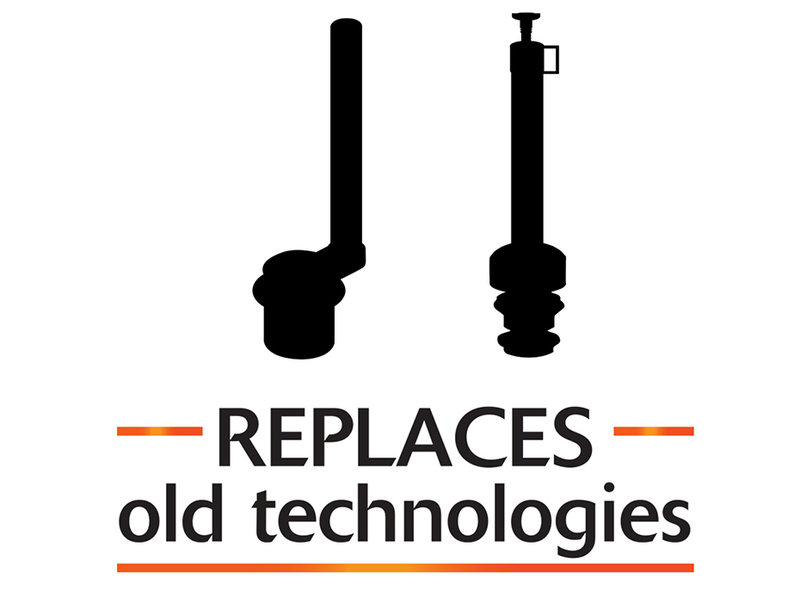 Ideal for all standard 2 inch toilets, including: 1.28, 1.6, 3.5 and 5 gallons per flush (gpf). 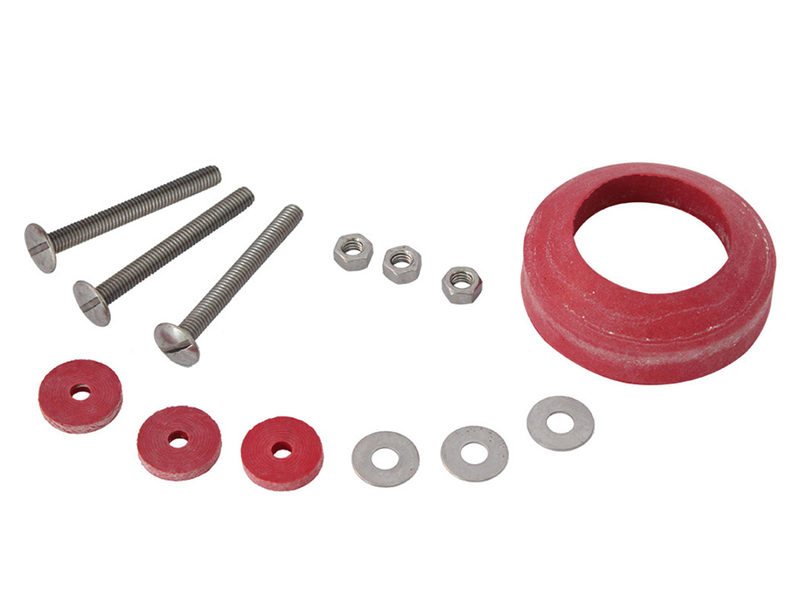 The exclusive longest lasting red rubber resists chlorine, bacteria, city water treatment, hard water, and well water. 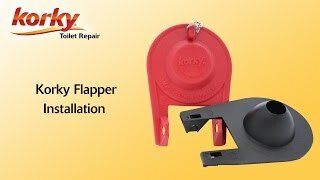 Recommended by the Clorox help line, this Korky toilet flapper is proven longest lasting. 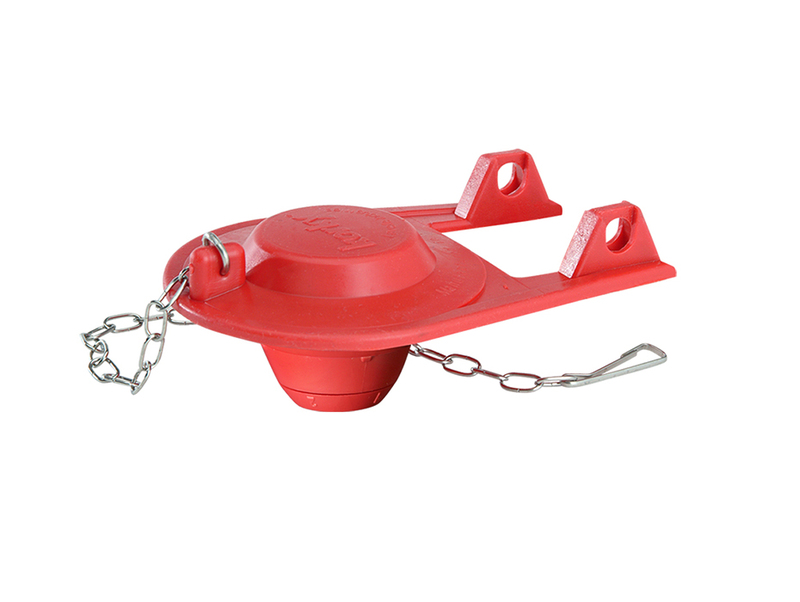 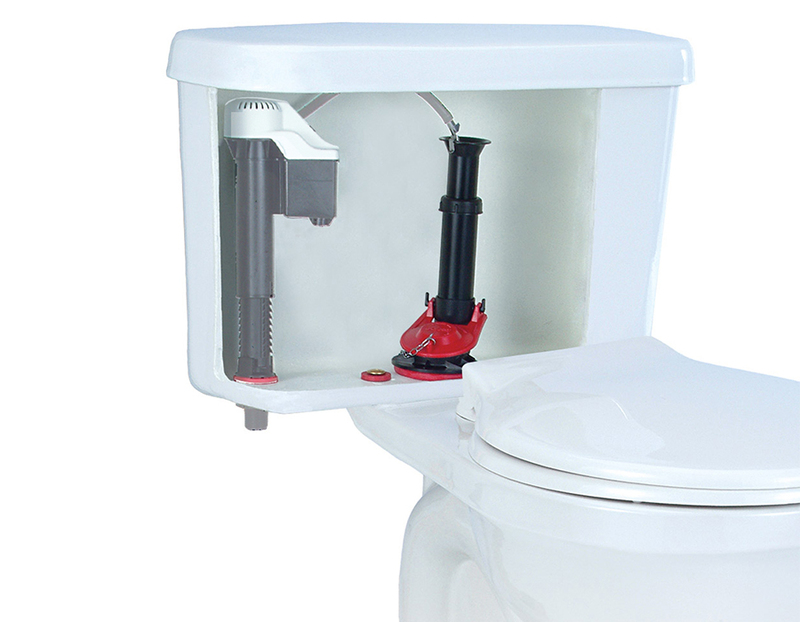 The adjustable flapper has multiple settings to ensure it fits popular 2 inch toilet models. 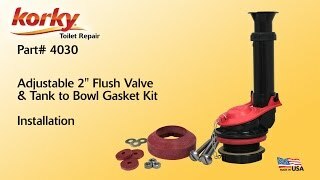 Easy to install, the 4030 toilet parts include: (1) Toilet Flush Valve, (1) Tank to Bowl Gasket, (1) 100 Ultra Flapper, (1) Set of Hardware and (1) Instructions.